We empower people with special needs to realize their full potential. At TradeWinds Rehabilitation Center, we are defined by a strong foundation of people; from the children and adults we serve to the men and women who champion our cause. Our goal is to help individuals grow to their potential success. This long, often winding road to success began its journey in the early 1940's where TradeWinds traces its roots back to the Lake County Association for Crippled Children, TradeWinds' Parent Organization. The Association provided speech, hearing and therapy services for children with disabilities. At that time services were offered wherever space was available -church basements, schoolrooms, YMCA's and rented storefronts. Time passed and in the late 50's and early 60's another visionary Ted Dombrowski, the Society's Director, helped inspire volunteers from labor, business, and civic organizations to band together for the building of TradeWinds' original 15,000 Square foot building. The building was coined the "Labor of Love." Although TradeWinds had been completed; there was no operating capital to begin serving the community. Once again, the community rose to the occasion. Forty-six men, who later became known as the Pirate's Organization, put up enough capital so the center could begin services. Dombrowski had a completed building, and the needed funds to begin operations, but he was still without a name for his beloved agency. A contest was offered up at the area schools, and a Brunswick Elementary child, Greg Corwin named TradeWinds in this 1966 contest. He wrote; "Just as the TradeWinds propel sailors on the seas, so will TradeWinds propel handicapped children to a better quality of life." As the children grew into adulthood, the need for expanded services became apparent. Attaining a "better quality of life" meant learning to live as independently as possible. This meant attaining the skills needed to obtain jobs! The early 70's brought the development of vocational training and employment programs for adults as well as the need for more space. As those programs flourished, volunteers came forward again and added three new wings to the original structure. Today TradeWinds is home to training and production operations that are a living testament to what the human spirit can accomplish. TradeWinds Child Care is designed to provide a meaningful learning and social experience for children of all abilities between the ages of 6 weeks and 13 years in a safe and caring environment both during the day and after school. Children can participate in developmentally appropriate activities (including toilet training) through a curriculum guided by Paths to QUALITY, the State of Indiana’s quality rating system for children’s programs. TradeWinds provides the environment and the trained and degreed staff who support children’s learning by preparing each youngster to enter kindergarten. Brain and body growth development are the most rapid during a child’s first two years of life. Early identification of a youngster’s health and developmental concerns and creation of a unique plan to address those concerns can be the key to a youngster’s ultimate progress. Our childcare services include a comprehensive program that allows children who need occupational, physical, speech or developmental therapy to receive these services during the day while in childcare and with children their own age. For each child a qualified teacher prepares an individualized written plan, with specific goals for reaching developmental maturity. Each plan is continually monitored and progress is carefully tracked and measured. Children also participate in activities involving community outings, guest presenters, literacy programs, academic activities and socialization. Together the children learn self-awareness, acceptance, tolerance and compassion. TradeWinds’ Child Care Services are available at our main facility Monday through Friday from 6:30 AM to 6:00 PM, except during holidays. Parents or guardians of prospective student(s) may use Lake County Child Care Development funds or may pay privately for the program. If you feel that your child(ren) would benefit from TradeWinds’ Child Care program, please call us (219-949-4000 ext.331) and we will guide you through the steps to get started. TradeWinds After-School Care is designed to provide school age children through 13 years of age with an engaging and friendly after-school experience in a safe and monitored environment. Students can relax and spend some of that pent-up energy by taking part in supervised recreational activities, both indoors and out. Sometimes it’s shooting hoops, other times it might be a lightning fast game of air hockey…and sometimes it might just be a game of checkers. Our program is aimed at fun and engagement while inspiring teamwork and sportsmanship. For students who might need a little extra encouragement, TradeWinds trained staff members also provide assistance and incentives to help them complete their school work. TradeWinds’ After-School Child Care Services are available at our main facility (5901 West 7th Avenue, Gary) Monday through Friday from 3:00 PM to 6:00 PM, during the regular school year, except for holidays. Parents or guardians of prospective student(s) may use Lake County Child Care Development funds or may pay privately for the program. If you feel that your child(ren) would benefit from TradeWinds’ Child Care program, please call us (219-949-4000 ext.331) and we will guide you through the steps to get started. Each child will receive a special camper’s t-shirt and take part in a pizza and awards party. The TradeWinds Summer Camp experience takes place Monday through Friday, June through August from 8:00 AM to 5:30 PM (except July 4). Each day begins at our main facility in Gary but often moves into the surrounding community depending on the planned activities for a given day. Parents or guardians of prospective campers may use Lake County Child Care Development funds or may pay privately for the program. If you feel that your child(ren) would benefit from TradeWinds’ Summer Camp program, please call Admissions at 219-949-4000 ext.331 and we will guide you through the steps to your youngster(s) enrolled. Providing or arranging transportation so that the individual has access to the community at large. A specialized program is developed for each participant based on his/her unique circumstances. Participants are encouraged to share space and expenses to make best use of their available funds. Staff assistance is available to the program participant within the home and in the community whenever the need arises within the state guidelines. Prospective participants must have funding through the Bureau of Developmental Disability Services (BDDS) or may pay privately to qualify for Supported Living services. If you feel that your loved one would be eligible for TradeWinds’ Supported Living services, please call us (219-949-4000 ext.331) and we will guide you through the steps to get started. Adults 18 and over with special needs can experience supported living in one of TradeWinds’ six supported Group Homes. Our homes, located on residential streets in Schererville, Crown Point, St. John and Hobart, are supported 24 hours a day with onsite trained TradeWinds staff. These staff members help the residents develop their work, social and independent-living skills. Access to medical care is available around the clock. Residents may have a single room or may share a room with another resident. Each home features full kitchen and bath facilities as well as common areas for relaxing and socializing with family and friends. All residents participate in daily living skills such as laundry, cooking, cleaning and general maintenance of their home. When it’s time to relax they read the paper, watch television and play cards, board games and video games. They keep a close eye on the community calendar and plan with their house manager to take part in community events. Each group home has its own vehicle so that residents need never worry about transportation to the bank, the post office or medical appointments. Residents also participate in trips to the bowling alley, concerts, local theater presentations and community festivals. Group Homes operate daily, 24 hours a day, 7 days a week, 365 days a year. Prospective residents must be diagnosed with a developmental disability by a medical professional and determined eligible by the state Bureau of Developmental Disability Services (BDDS) for group home placement. Applicants may be wait-listed dependent on availability of space. If you feel your loved one is group home eligible please call TradeWinds Admissions (219-949-4000 ext. 331) and we will guide you through the steps to get started. Training and support services are offered in both classroom and work settings. Pre-Vocational trainers receive training on each participant’s plan and integrate individual goals into the daily training activities. Participants may develop their work skills and earn wages in one or more of five areas: Sewing, Fold & Pack Garments, Package & Assembly, Janitorial Services, or Sign Shop. Work area assignments are based on individual choice and ability as well as schedule and availability. Additionally, trainers lead activities aimed at reinforcing skills through interactive role play, videos, demonstrations and presentations by guest speakers. Trainers typically work with groups of 8 to 16 participants, although group size may vary slightly. Although most participants maintain a full schedule, part-time schedules are available. TradeWinds ADAPT I and II provide adults 18 and older with a meaningful day experience by offering a variety of activities and opportunities to socialize with others in a safe, monitored, caring and supportive environment. Adults with special needs can experience a meaningful day and enjoy interacting with others in a clean, calm environment under the supervision of TradeWinds trained staff in the ADAPT programs. Staff members provide assistance with feeding, personal care, hygiene and behavioral support in a plan especially created for each individual. Case Managers are assigned and on-site for any additional support needed by either the participant or family. ADAPT I participants have need of additional physical assistance from staff members while ADAPT II participants require less physical assistance and generally receive more behavioral support. Those in the programs often enjoy outings, parties, and other social activities that add variety to their daily tasks and routines. Trainers in the ADAPT programs are all qualified in First Aid, CPR and Crisis Intervention and meet state standards. They are fully trained in each participant’s plan and work closely with Case Managers to optimize the individual’s daily experience. The ADAPT programs take place in a classroom environment in TradeWinds main facility in Gary, Monday through Friday from 7:00 AM to 3:30 PM, except on holidays. Prospective participants must be diagnosed with a developmental disability by a medical professional and determined eligible for support services by the state Bureau of Developmental and Disability Services (BDDS). Once requirements are met admission will depend on an opening in the program. If you feel that you or your loved one is eligible to participate in the ADAPT programs, please call TradeWinds Admissions at (219) 949-4000 ext. 331 and we will guide you through the steps to get started. Let TradeWinds Signs build the custom signs you need at a price you’ll like! Dedicated to providing support services & training designed to promote individual choice, growth, & self-sufficiency for people of all ages and abilities. Hours: 9:00 A.M. to 5:00 P.M. C.S.T. Monday - Friday. We're a small shop and sometimes we’re working away from the telephones, so please leave a message or try again if you call and can't reach us. Scrub Puppies lap up the toughest jobs with ease while helping fund your pet projects Scrub Puppies are bred to help your organization raise money while providing a practical multi-use product. It's a win-win-win opportunity! Support for your cause - We help co-fundraise with minimal cost to you and we guarantee 100% profit. Support for TradeWinds Services - We employ adults with disabilities for packaging of the puppies. A quality product - You get 6 puppies in 2 sizes with custom packaging for your organization. Scrub Puppies are a steady source of fundraising revenue: They have a never-ending shelf life. Won't hold food or odors. Are non-abrasive. Made of 50% recycled materials. Available year-round for your fundraising needs. 100% of the proceeds stay in Northwest Indiana to enrich our community. 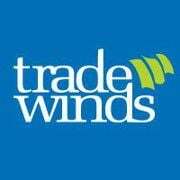 Contact Helen Rutkowski, Industries Director at 219.949.4000 x 226 or email hrutkowski@tradewindservices.org. We produce items for medical staff, food service, industrial workers, and more.